Get your holiday on with Elgin’s 1st ugly sweater 5K. Come down and run or walk in your ugliest Christmas sweater. The 5K is one of many Christmas events like live entertainment, food, and house lighting contest. Note all money earned from the 5K will be earned will be donated to the Elgin Chamber of commerce that will also be sponcering local families durring the holidays, and the Winter Wishes program through Elgin Middle school. 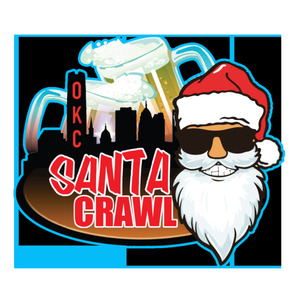 On December 9th, 2017, there will be a Santa Crawl in Oklahoma City. The march will kick off at 10am and will end at 6pm. Participants are encouraged to wear Christmas costumes, such as Santa Clause, Mrs. Clause, Reindeer, Christmas tree’s, etc. There will be activities such as costume contests, and jump rope contests. Stores will also have discounts. The cost for the Santa Crawl ranges from $4-$20 a person. Proceeds from ticket sales will go to two charities, Warriors for Freedom and Other Options, Inc. Begin your Jedi training at Science Museum Oklahoma, you must. The Science museum in Oklahoma City is holding an event to stay overnight and Star Wars science. Padawans, young and old, are welcome at this exciting evening of Star Wars science just in time for the release of ” Star Wars: The Last Jedi”. Dress in your favorite Star Wars gear and join as they explore the forces of our world and the Star Wars universe. Make your own miniature lightsaber, learn about the physics of spaceships, and much more. All ages are welcome. It costs $35 per person for museum members, $45 per person for nonmembers, and $25 for nonparticipating adults. It will be held on December 8th, 2017 starting at 7PM to December 9th, 2017 at 7:30AM. The science museum is located at 2020 Remington Place, Oklahoma City, Oklahoma 73111. You can register and find out more at www.sciencemuseumok.org/science-overnights. Registration closes December 6th, 2017. Due to an unfortunate insidente involving one of the cast members the Junie B. Jones Jingle bells Batman smells play is being rescheduled. Originally scheduled for December 6th 2017 will be moved until further notice. The new date of the play has yet to be decided. Elgin High Schools drama department still encourages you to come see the show when the date is decided. Our deepest regrets for this inconvenience to you. Remember a to get into the show is $3 or a canned good and $2. Tonight on November 28, 2017 there will be a chapter meeting with Elgin FFA. Come in your best barnyard zumba costume and win a door prize and dance the night away. If you get hungry snacks will be provided. This event will start at 5pm and end at 7pm.